I came across this quote from an article I read nearly two years ago. My mother had passed away a few months prior to me coming across this article and for me this was the greatest pain I had ever felt. I felt completely numb and lost, my mother and I had so many plans and things we planned to do together as I got older and she got older she became my best friend. I am not sure where the article came from but each time I find myself missing my mom I remember this part of the article I had just happened to come across. I share it every chance that I get because I have found that it has helped me through the greatest of waves. I believe that life is our greatest teacher and it’s the experiences that we have that teach us the most and I think the greatest lessons about life I have learned after my mother passed away. Once she had passed everything she tried to get me to understand about life clicked inside of me and made complete sense. I have held on so tightly to all the memories and something’s are becoming foreign to me like the sound of her voice, or her laugh, or her hugs. It is a deep pain that is indescribable because I don’t want to forget her but what remains are her words. Those are the things that made the greatest impact and those are the things that have kept me going. Everything I have shared about that article I have experienced, some days the waves are so high I still feel like the beginning of the wreckage like I’m drowning and for someone who cannot swim that is the worst feeling in the world. I’m reaching out for anything to hold onto to keep a float to keep me alive. Then as time passed the waves seemed not as big, instead I felt like I was being gently pushed to shore by them. I know I’m not completely out of the water because the waves still come. 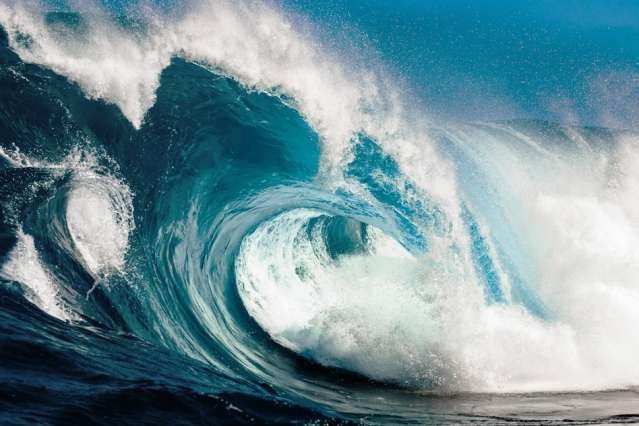 There will be great waves in life and many times you will feel like you are drowning but hold on because like the article says in the end you will make it out and realize that you made it out alive and a whole lot wiser for it.